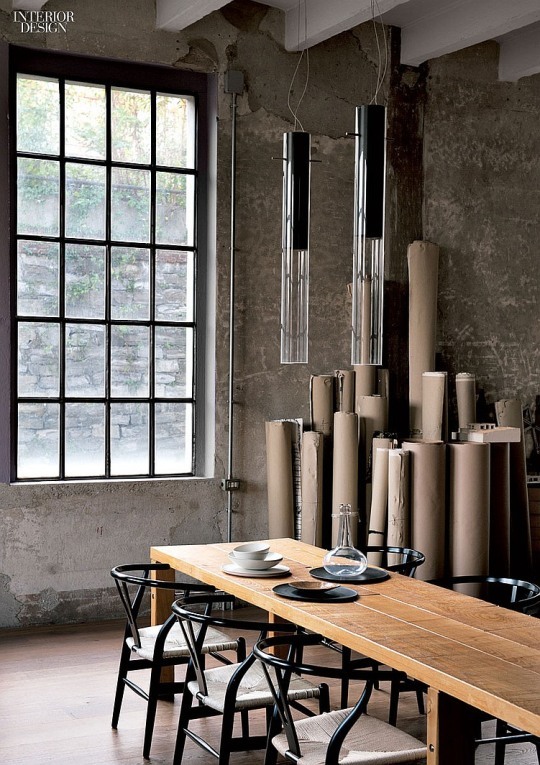 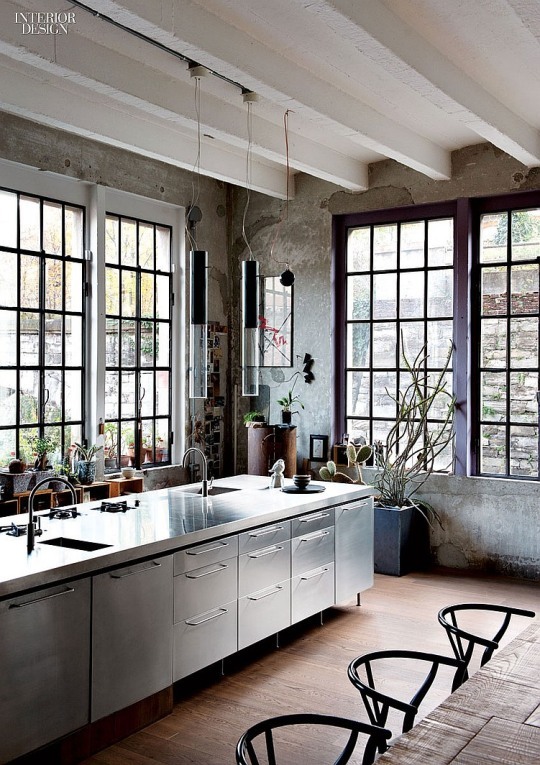 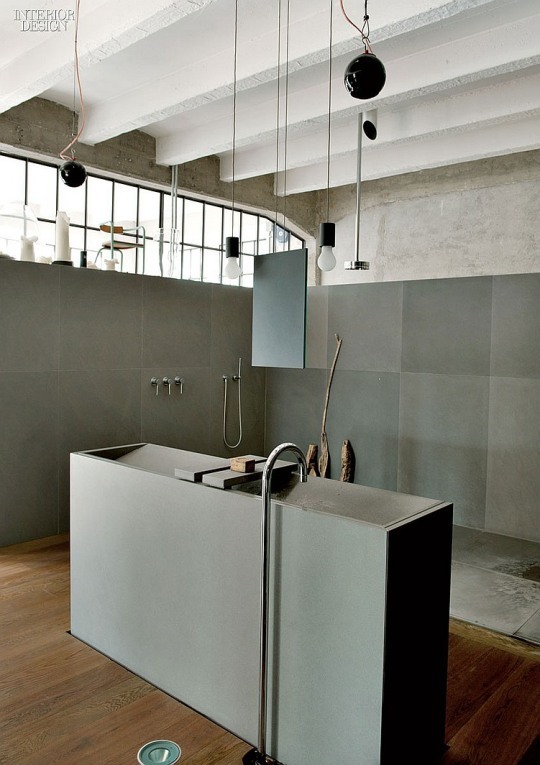 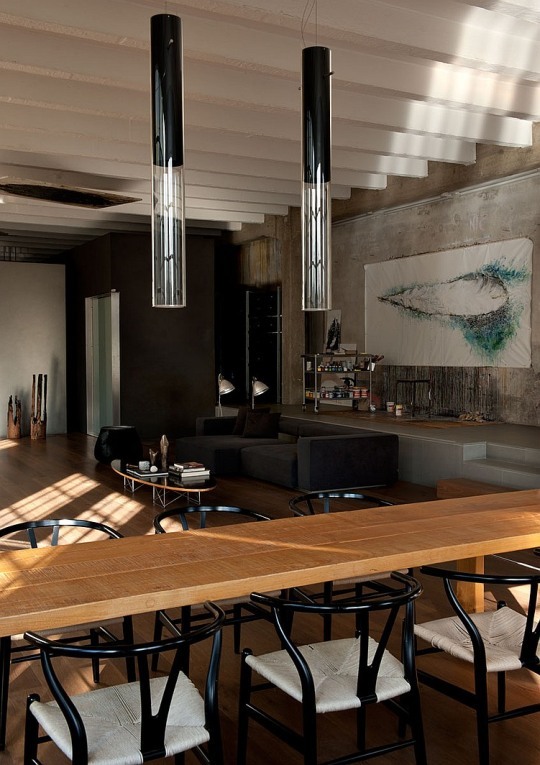 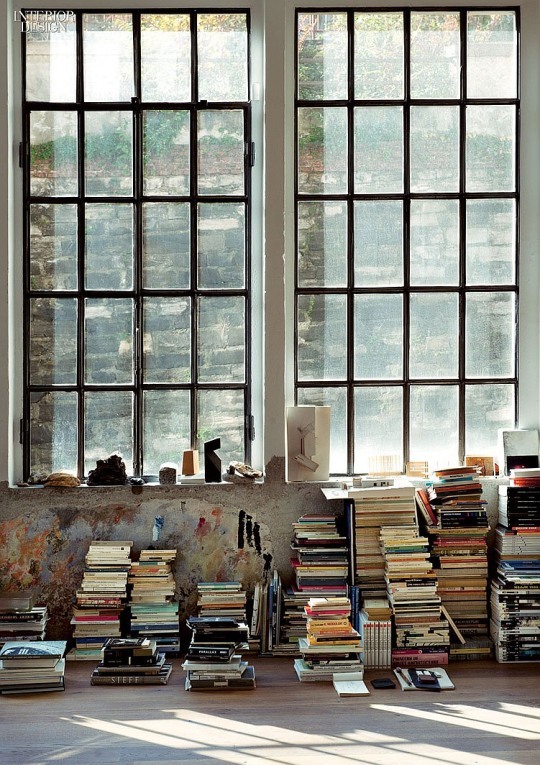 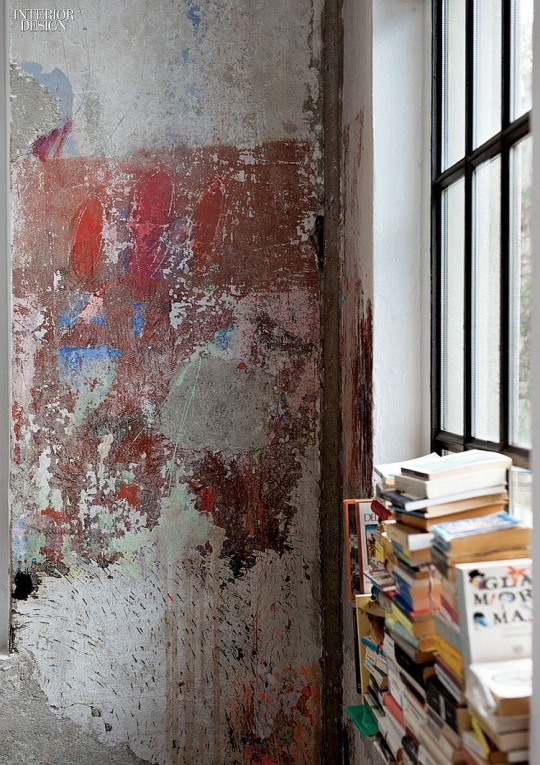 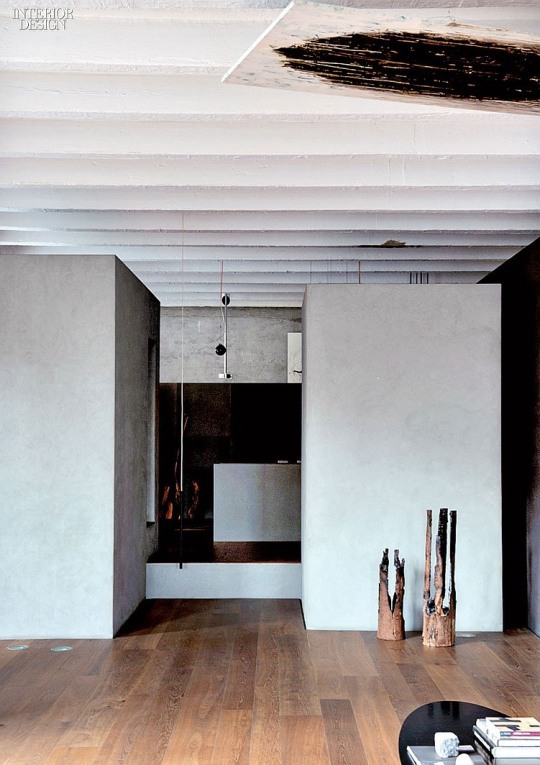 When I saw this loft my heart skipped a beat….Marco Vido,Architect and Artist from Como,has preserved every inch of industrial feel to this 1920s loft.Completely open plan and “domestic minimalist” only three things have changed during the renovations…. 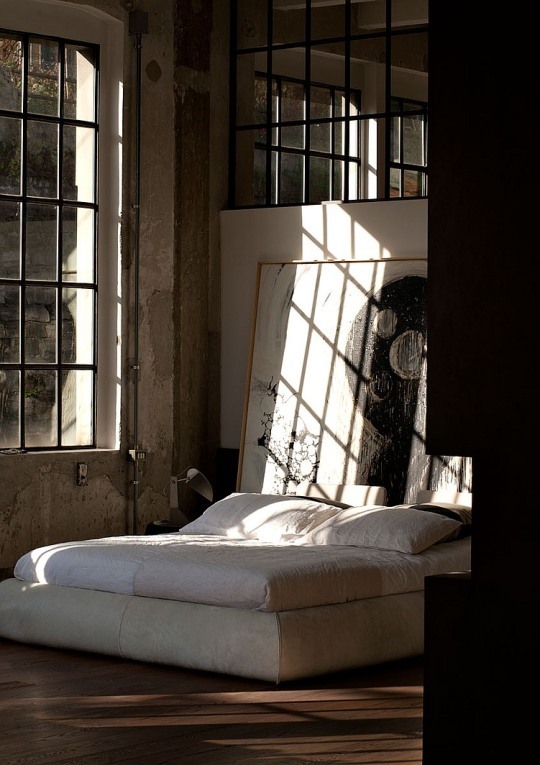 Plasterboard painted black or grey dividing the public area and the bedrooms and bathrooms. 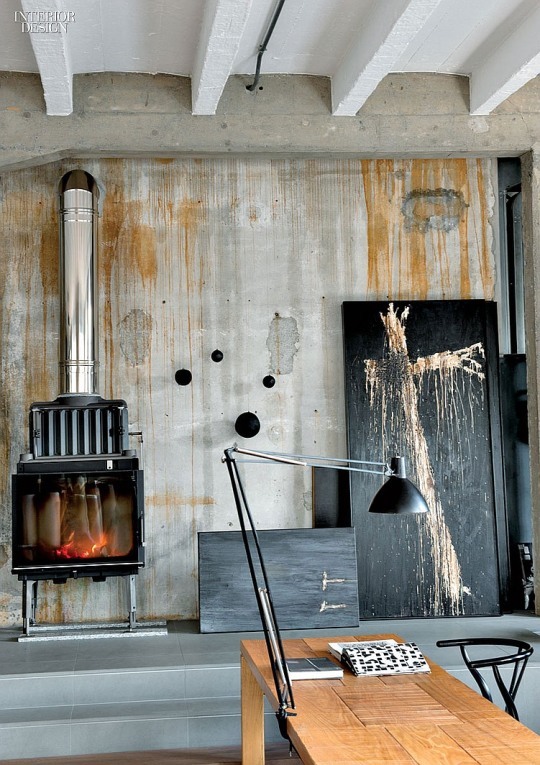 The old walls have been left in their raw state ,the celings have exposed beam, everything carefullly chosen to let the old building and years of history shine through…Genius!